Bobby Accardi was one of the most gifted players ever to compete in the WRWBL. In his six seasons he was one of the league's top all-around players every year. His play helped personify the league's rise from the moment he stepped onto our diamonds in 1999. His efforts helped establish the Tarrytown Lookouts both locally and nationally while he was active. Accardi led his team to the playoffs every year including a run of three consecutive championship appearances and one league title in 2002. He led the club to the finals of the Hall of Fame Tournament in 2001 and a second place finish at the USBC World Series in Evansville, Indiana earning a spot on the all-tournament team. He was a rare blend of speed, power, athleticism and remarkable baseball IQ. However, it was the intangible leadership qualities he possessed that lifted the play of his teammmates and coaches willing them to succeed at a higher level. Simply put -- Accardi was a winner who made his biggest plays in the biggest games. Typically batting near or at the top of the order, he affected the way other teams pitched and played defense. Opposing teams would express the need to 'game plan' to stop him -- like a football player. 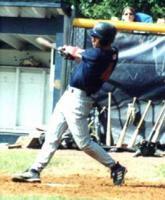 Accardi remains the only player in the league's 16-year history to win the WRWBL MVP award twice -- doing so in 2001 and 2003. He was the runner-up for the award in 2004. In 2001, he set the original record for most steals in a season swiping 32 bags in 26 games while hitting .452 leading the Lookouts to a championship appearance. In 2003, he again was named MVP after hitting .494, the second highest average ever recorded during the league's woodbat years. Accardi was a six-time all-star, won four gold gloves for his play in centerfield and is currently the WRWBL's all-time stolen bases leader with 132. He retired with a lifetime .398 batting average including 179 hits, 152 runs, 132 steals, 88 RBIs, 36 doubles, 13 triples, 8 homeruns (all during wood bat years) and a .467 on-base percentage. 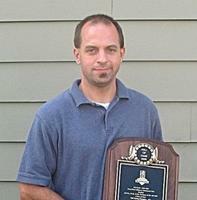 Accardi was inducted into the WRWBL Hall of Fame on August 20, 2006. Coach Fred Calaicone enters the WRWBL Hall of Fame as a league administrator. Calaicone served as the head baseball coach at Pace University for 20 years winning more than 400 games in his career. He was the first collegiate coach in the Metro area to fully embrace and recognize the WRWBL and its prospects during its tough transitions in the late 1990s. Calaicone opened up the Pace facility for regular season games and our annual championship and all-star festivities. More importantly, he has guided a steady stream of talented players to the league. His efforts have consistently improved the level of play and provided the WRWBL with fabulous growth. Calaicone has also been instrumental in spreading the word to other collegiate coaches in the region about the WRWBL’s existence and quality. Approximately 50 former Pace players coached by Calaicone have found homes on teams in the WRWBL. That is more than any coach or school in the region. Now retired, Calaicone resides with his wife in Ardsley, New York. Coach Calaicone was inducted into the WRWBL Hall of Fame on August 24, 2003. 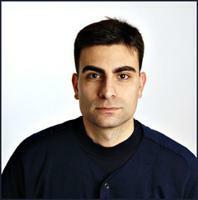 If measured by championships alone, Vinny Carlucci is the most successful manager in the WRWBL's history. In seven seasons as the indomitable leader of the Barons, he compiled an impressive 188-50 record including guiding his team to three wood bat championships in 2001, 2004 and 2006. His undeniable confidence in the dugout was backed by a commitment to excellence from his players -- a driving force in establishing the WRWBL as an elite place to compete. His managing record includes a 147-34 (.812) regular season mark, 27-12 (.692) playoff record and 14-4 (.777) tournament record including winning the Cooperstown Hall of Fame tourney in 2002. Carlucci was the first manager in WRWBL history to record 100 wins doing it by defeating the rival Tarrytown Lookouts in 2004. His teams were regularly ranked in the top-25 by the National Semi-Pro Baseball Association (NSPBA) including a top-5 ranking in 2005 when the team went 29-1 during a nearly unblemished season. For his efforts that season he was named the WRWBL’s Manager of the Year. During his tenure, Carlucci recruited nearly a dozen former pros into the league, as well as countless college players, as well as five members of this Hall of Fame which made the Barons an elite team but more importantly strengthened the competitive nature of the league as teams needed to improve in order to compete. 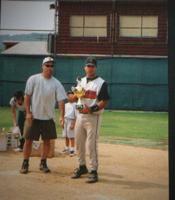 Carlucci also managed the league’s first Arizona Iron Horse entry that participated in the NABA National Championship in 2003. Carlucci’s passion for winning and his tireless intensity helped set the Barons and the WRWBL on a solid foundation that teams continue to emulate today. However, despite all the records, his greatest contribution may be in helping to shape one half of the league’s most storied rivalry against the Tarrytown Lookouts. It is that effort that will forever link him with fellow Hall of Fame inductee Chris Jones. In the seven seasons Carlucci's Barons teams waged epic battles with Jones’ Lookouts with each team wanting to assert themselves into the top spot in the league vacated after the 1990s dominance of the Yonkers Yankees and Pleasantville Red Sox. This border war was the WRWBL's version of Red Sox/Yankees or Duke/North Carolina and despite their different styles, each manager pushed himself and his team to new heights ultimately creating the bar teams now aspire to. During that period the two teams and managers faced off 27 times with the Barons holding a slight 14-13 edge in wins/losses while the Lookouts outscored the Barons in those games 151-146 showing just how remarkably close this rivalry was. Carlucci was inducted into the WRWBL Hall of Fame on Sunday August 19, 2007. He resides in New Milford, Connecticut with his wife and two sons. For eight seasons Rick Damo was one of the WRWBL's brightest stars originally with the Northern Highlanders a team he founded in 1996 and then later with the Tarrytown Lookouts. He was a pitcher's best friend, a cerebral catcher who painstakingly took the time to learn many of the hitter's tendencies. At the plate, he was a grinder who worked every at-bat. A gap power hitter and an on-base machine he lengthened every lineup he was in. He always worked the count rarely giving in to the pitcher or giving away an at-bat. 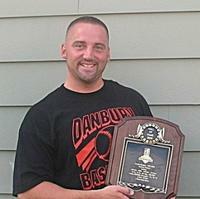 Damo was the 1999 WRWBL MVP when he hit .529 -- the fourth highest batting average on record in the league's history. He was a 4-time all-star and won a league championship with the Tarrytown Lookouts in 2002. Off the field, Rick played a vital role in the league's success as he sat on the first board of directors in 1998 and served as the WRWBL statistician from 2000-2002. On and off the field, Rick was dedicated teammate playing at a high level for eight seasons. He retired with a .361 career average including 142 hits, 101 runs, 106 RBIs, 111 walks, 41 doubles a .470 slugging percentage and a .539 on-base percentage. Rick was inducted into the WRWBL Hall of Fame on August 20, 2006. He currently makes his home with his wife and two sons in Connecticut. Chris DiScala was the second pitcher inducted into the WRWBL Hall of Fame. Affectionately referred to as ‘Disco’ by his teammates DiScala was a critical part of the Lookouts roster during its hey-day from 2001 through 2005. DiScala appeared in 37 games posting a 19-4 record and 2.45 ERA in 135.66 innings pitched. A hard thrower from the left side typically throwing in the high 80s and occasionally in the low 90s he recorded 157 strikeouts versus 71 walks good for a 2:1 ratio. His seven saves are among the best all-time in the WRWBL and he also had two complete game shutouts. On three occasions he took no-hitters deep into games including being two outs away against the Red Sox in 2003. For many years DiScala was the team’s ace starter, but he began his tenure with the team as a closer leading the league in saves in 2001. A bulldog, DiScala took the ball on short rest, for starts or in relief. During the Lookouts championship run in 2002 he was 3-0 with a game three save to clinch the Lookouts championship. A big-game pitcher who rose to the occasion he had his best games against the leagues’ best teams. This included a 10-inning performance to eliminate the arch-rival Barons in the 2002 playoffs. As a first baseman and middle of the order hitter DiScala also had the pressure to be offensively productive as well. At the plate, DiScala was a lifetime .296 hitter with 115 hits and 76 RBIs. He had good gap power with 15 doubles, five homeruns and 3 triples. He was a four-time all-star and a member of the first Arizona Iron Horse team. He also holds the Lookouts record for most strikeouts in a game with 15. In 2001 DiScala was named the MVP of the Cooperstown Hall of Fame Tournament batting .556 with 2HR and 11 RBIs and going 2-0 on the mound in five games as the Lookouts reached the finals of the tournament. DiScala was inducted into the Hall of Fame on Sunday August 19, 2007. He now resides in the Miami, Florida area with his wife and three children. Donohue was the premiere five-tool player during his five year stint in the WRWBL. At a time when the WRWBL was growing each year and becoming flooded with the region's top talent, Donohue may have been the marquee player of his period. Donohue hit for average, power, played top-notch defense, had a strong arm and ran very well. He was a player that had to be constantly accounted for whether he was at the plate, one the base paths or in the field. Since the league's wood bat era began in 2000 he is unequivacally the top homerun hitter in the league's history and his numbers speak for themselves. In five seasons he played 106 games posting a lifetime .371 batting average (115/310). His 14 homeruns are most among any player since the switch to wood. Additionally, he still holds the single season homerun record with seven long balls in the 2004 season. Due to his power and strong eye he recorded nearly 100 walks including an astonishing 43 in one season in 2004 good for a lifetime .516 on-base percentage. He was named a first-team all-league performer in '02, '03 and '04 and second team in '05. He played in three WRWBL championships winning a title in 2003. Donohue was a standout prep player winning a Catholic High School Athletics Association (CHSAA) title with Fordham Prep. He then went on to be a junior college All-American at Rockland Community College and completed his collegiate career for the Tar Heels of the University of North Carolina. He was also drafted by the hometown New York Yankees but opted to head to North Carolina. Donohue now resides with his wife and two children in Orange County, New York. Gregg was inducted into the WRWBL Hall of Fame on Sunday August 23, 2009. His complete career stats below. Jamie Giaquinto is one of the early founders of what is now the WRWBL. Helping to establish an original NABA chapter here in Westchester, Giaquinto was a mainstay for the league and his team the Pleasantville Red Sox. He played in the NABA during its first years here in the early 1990s helping the Red Sox to win three league championships. He labored through the decaying MABL affiliations (1997-2000) and retired before the first wood bat season in 2001. As a player he was a two-time WRWBL league champion (1999-2000), a league MVP (1991) and his team's MVP in both 1991 and 1993. 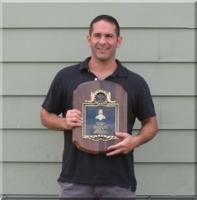 Giaquinto also recieved the 1994 and 1996 NABA Cooperstown Hall of Fame Tournament Team MVP award. An eight time all-star selection, Giaquinto's lifetime batting average was .408 with 10 homeruns, 106 RBIs, 86 runs scored and 180 hits in nine seasons. Giaquinto played his collegiate ball at Sacred Heart University. He now resides with his wife and children in Connecticut. 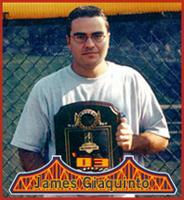 Giaquinto was inducted into the WRWBL Hall of Fame on August 24, 2003. In his 10-year career Tommy Gergley was a picture of remarkable consistency. Few players last more than five years in the WRWBL at any position. Yet, Gergely played a decade at the most physically challenging spot on the diamond -- catcher and did so at an award winning level. A core member of the Barons, Gergely served as the team's captain stewarding several young pitchers throughout his career. Battery mate Greg Palanzo won two Cy Young awards with Gergely as his receiver and fellow Hall of Famer Justin Scali blossomed as a starter with Gergely behind the plate becoming the first pitcher inducted into the Hall of Fame. Offensively, Gergely was one of the most productive and talented hitters that has ever graced a WRWBL field. A lifetime .382 hitter, Gergely retired the career leader in virtually every single Barons category including at-bats (613), hits (234), homeruns (14), doubles (43), triples (11), RBIs (190), runs (178) and walks (139). Gergely also places in the top five in league history in at-bats, hits, homeruns, RBIs, walks, slugging percentage (.556) and on-base percentage (.486). In the field he was a solid defensive catcher who won two gold gloves as well. However, more than individual accomplishments, Gergely was about winning and his Barons clubs captured the first WRWBL wood bat championship in 2001. He is one of only six players in history to have their names etched on the league's championship cup three times joining fellow Hall of Fame inductees and teammates Vinny Carlucci and Mat Terrillion in that regard. Gergely's teams made the playoffs in all ten years he competed including his two seasons with the Northern Highlanders (1997-1998). Gergely was a member of the WRWBL's sixth Hall of Fame class inducted on Sunday August 24, 2008. Chris Jones is one of the winningest managers in WRWBL's history. After a brief hiatus he returned to bench in 2009 as manager of the Peekskill Tides. In his first eight seasons at the helm of the Tarrytown Lookouts he compiled a 181-80 overall record (.694). This included three consecutive trips to the league finals from 2001-2003 and a championship in 2002. Both the Tides and the Lookouts have reached the playoffs in every year he's managed. Jones founded the Lookouts from scratch with three players and no field in the fall of 1998 and worked tirelessly to establish the group as an elite club both locally and nationally. His regular season managing record includes a 157-63 (.714) regular season mark, 22-14 (.611) playoff record and 20-9 (.690) tournament record. Jones became the second manager in WRWBL history to record 100 wins accomplishing the milestone in 2005. While manager of the Lookouts the team was regularly ranked in the top-25 by the National Semi-Pro Baseball Association (NSPBA) including a top-10 ranking in 2004. He was a pioneer of sorts, as the Lookouts regularly traveled playing tournament games against top-teams from across the nation in far off places like Miesville, Minnesota, Tradewater, Kentucky and Jasper, Indiana. His Lookouts placed second in several tourneys including the Cooperstown Hall of Fame Tourney, the SpamTown Minnesota Tournament and the USBC World Series in Evansville, Indiana. Additionally, he guided the club past the #1 ranked team in the nation in 2005 shutting out the Brunswick, Maryland Orioles 3-0 at the National Semi-Pro Baseball Association regional. Jones managed the WRWBL’s New York Iron Horse select team to within one game of the NABA National Championships in 2004. Despite all the personal accomplishment, his greatest contribution may be in helping to shape one half of one of the league’s most storied rivalries with the Danbury Barons. It is that effort that will forever link him with fellow Hall of Fame inductee Vinny Carlucci. In the eight seasons Jones Lookouts’ teams waged epic battles with Carlucci’s Barons with each team wanting to assert themselves into the top spot. This border war was the WRWBL's version of Red Sox/Yankees. During that period the two teams faced off 27 times with the Barons holding a slight 14-13 edge in wins/losses while the Lookouts outscored the Barons in those games 151-146 showing just how close this rivalry was. Jones was inducted into the WRWBL Hall of Fame on Sunday August 19, 2007. He resides in Somers, New York with his wife and two children. 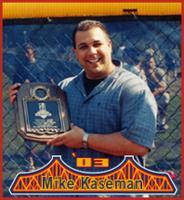 Mike Kaseman had one of the finest careers of any player to participate in the WRWBL. Mike is a veteran of various Metro NY leagues including the Yonkers Recreational League, the MABL and NABA affiliated iterations and finally the WRWBL. As a player/manager for the Yonkers Yankees he guided them to an unprecedented five consecutive championships from 1994-1998 four here in our league. Although much of his success came during the league's aluminum bat era, its hard to argue or overlook the dominant force the Yankees were. In fact the Yankees all-college roster assembled by Kaseman was the incubus for the overall growth of the league. The simple fact was teams needed to recruit better players to compete with Kaseman's Yankees. Not only a solid manager, Kasemen led his club on the field. He was his team's MVP in 1994, 1995 and 1998 and one of the top players in the region during that period. An eight-time all-star selection at first base Kaseman's lifetime numbers are mind boggling including a .402 batting average, 32 homeruns, 195 RBIs, 203 runs scored and 227 hits. In addition to his on field credentials which place him in the top three in most league-wide offensive categories. Mike was a dedicated volunteer to the WRWBL as well. When the league was on the verge of bankruptcy in 1999, Kaseman was instrumental in moving the WRWBL away from its decaying MABL affiliation and into its current status. With finances in shambles, he served as the league's first treasurer bringing sound financial discipline and management that is still followed today. The league now enjoys regular surpluses and has been expanding ever since. Prior to his WRWBL career, Mike played collegiate baseball on scholarship for Manhattan College where he served as team captain. Kaseman now resides in northern New Jersey with his wife and two children. Mike was inducted into the WRWBL Hall of Fame on August 24, 2003. Bob played seven seasons with first with the Cross River Indians one of the league's founding members and then briefly with the New York Knights and then eventually ending his career with the Westchester Cubs. Kraft was a player who did not draw attention to himself. Bob played with an inward intesity that earned him the respect of his temmates and opponents -- quietly carving out a wonderful seven year career in the WRWBL. An outfielder with good speed and a strong eye at the plate, Kraft was often the best player on his teams which for many years struggled to win games. Despite the challenges, Kraft never wavered often leading his clubs in most offensive categories and building a strong reputation around the WRWBL as a player who played the game the right way. Kraft retired with a lifetime .383 batting average including 176 hits 25 doubles, 14 triples and 116 runs scored. His nine triples during the 2001 season remain a single season league record. He also won the 2002 batting title posting a .432 average. A top of the order hitter Kraft excelled at the plate compiling a .456 on-base percentage while stealing 84 bases good for top-10 in league history. A five-time all-star, Kraft won a gold glove in 2004 and was a two time member of the WRWBL's elite New York Iron Horse team in both 2003 and 2004. Bob was inducted in the WRWBL Hall of Fame on Sunday August 24, 2008. He now resides with his wife and daughter in upstate New York. Although always controversial, Troy Lehrer was a fantastic hitter for the seven seasons he competed in the WRWBL. Known for his fiery dugout demeanor and warrior like mentality -- Lehrer played baseball like he was a member of UFC. Every game was a cage fight. He never played on a losing team in his seven seasons. Beginning with the Ossining Prison Keepers in 1997 when he hit .521 and was named a league all-star and helped lead them to the playoffs. In 1999, he played one season with the Northern Highlanders, a club that went to the league semifinals with him as the starting first baseman. From 2000 through 2003 he played for the Danbury Barons winning a championship in 2001. In 146 games played, he retired with a .414 lifetime batting average with 182 hits in 440 at bats including 12 homeruns, 39 doubles, 11 triples, 147 runs scored and 140 RBIs. Lehrer posted a lifetime .512 on-base percentage and .634 slugging percentage. He was a five time all-star, a member of the Barons Hall of Fame Tournament championship team in 2002 and a two-time Barons team MVP. He won a gold glove for his defensive play in 2003. Lehrer played his collegiate baseball for Stony Brook University. He was inducted into the WRWBL Hall of Fame on August 21, 2005. He resides in northern New Jersey and now competes on the amateur power lifting circuit. 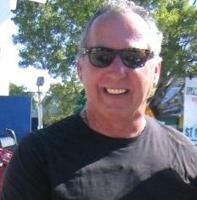 Steve Madey was the WRWBL's first independent commissioner presiding over the league from 2000 through the 2006 season. When Madey took over there was no WRWBL as there is today. The eight managers who had decided to split from a previous league in 1999 were a rudderless ship without a home. Each manager wanted a more stable environment to play in and they needed a bold leader to help them. What they got in Madey was a founding father whose visionary leadership grew the league in every way establishing the basis for what the WRWBL is today. Madey brought pragmatic leadership to the league. He jumped in and negotiated a replacement charter with the National Adult Baseball Association (NABA). He pushed for the use of wood bats – singularly the best decision our league has made in its history. He insisted on centralized authority for the league finances, field relations and marketing ensuring checks and balances that kept everyone honest. Madey encouraged teams to develop off-season workout programs and recruit the best players they could find to improve play. He also instituted a system still used today for matching individual players with teams. Under his watch the league branded itself and redesigned its website. He also insisted on the centralizing of statistics and was a big advocate of our All-Star game festivities believing that the teams should come together to close each season celebrating another great year. He even was even part of the group that selected the final style for our championship cup. In the off-season, Madey regularly would take time to visit athletic directors, college coaches and parks supervisors to present the WRWBL’s mission and gain access to fields. During his tenure the league added collegiate facilities including Pace University, Purchase College, St. John's University, Rockland Community College, Westchester Community College and Fordham University to its roster of fields. Additionally, he was the only league commissioner invited to the opening of the new Louisa Street Field in Peekskill back in 2004. An umpire himself, Madey was instrumental in securing our first contract with the Westchester Umpire Association. They had previously refused to work with our league citing its disorganization and poor level of play. Madey also designed the fundraising strategy that sent two teams to the Arizona National Championships in 2004 and 2005 nearly all expenses paid. Above all, Madey brought a belief that the league existed for the benefit of the players and that everyone had a fair chance on the field. That stability led to the league growing from eight teams in 2000 to a high of 18 in 2004. It is estimated that over his seven year tenure, Madey’s efforts allowed nearly 1000 ballplayers in the area a chance to compete in a safe, fair and competitive environment. A lasting legacy worthy of the WRWBL Hall of Fame. Madey was inducted on Sunday August 19, 2007. He now serves as the Executive Director of the Miracle League of Westchester, a modified baseball program serving severely disabled children. Mike Marano was a pitcher/shortstop/outfielder for the Yonkers Yankees for nine seasons. During the league's aluminum bat years the Yankees won four consecutive titles from 1995-1998 and Marano was the team's ace pitcher and #2 hitter. Marano retired with a reputation for playing hard every game no matter what the score and no matter how injured he may have been. He regularly would find a way to led the Yankees to victory and formed a lethal 1-2 combination with fellow Hall of Fame member and childhood friend Mike Kaseman. In 175 games played he was a lifetime .388 hitter with 220 hits in 567 at-bats. That's an average of 22 hits per season. This included 17 homeruns, 57 doubles, 21 triples and 117 RBIs. Marano is the WRWBL's all-time leader in runs scored with 196 and is second all-time in stolen bases with 119. Not to be forgotten are his numbers as a pitcher. In 71 appearances he was 50-10 with a 2.72 ERA in 411 innings pitched. A power pitcher, he recorded 530 strikeouts and allowed only 124 runs. Marano also registered two no-hitters in that span. His best overall season was 1996 when he went 9-0 with a 1.55 ERA and 83 strikeouts while also hitting .396 at the plate in what was the best two-way performance in league history. Marano completed his career with the Tarrytown Lookouts helping them reach the finals in 2003. A seven time all-star, team MVP and Finals MVP during his career he played in six different WRWBL championship series more than any player in the league history. Marano was inducted into the WRWBL Hall of Fame on August 21, 2005. Mike makes his home in the Bronx, New York. John Mauro formed one half of the feared 'Brothers Mauro' combination that powered the Pleasantville Red Sox for five seasons. In those five years the Red Sox cleanup hitter gave opposing pitchers the jitters. For his career Mauro was a .349 hitter with 133 hits in 382 at-bats including 15 homeruns, 29 doubles, 109 runs scored and 104 RBIs. He retired with a .559 slugging percentage and a .462 on-base percentage. Mauro was the league's preeminent power hitter as the WRWBL established itself in the late 90s and early in the new millenium. 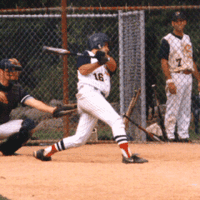 In 1999, his first season in the league Mauro led the WRWBL with 10 regular season homeruns and had at least three more in the playoffs. That season he helped propel the Red Sox to a championship victory over the previously thought unbeatable Yonkers Yankees. Mauro was the Red Sox team MVP in 1999 and led the league in doubles in 2000 after its switch to wood bats. A fiery team leader he was a feared hitter for many years in both the WRWBL and other local area leagues. Mauro played his collegiate baseball at Iona College. Mauro was inducted into the WRWBL Hall of Fame on August 21, 2005. He resides in Scarsdale with his wife and family. 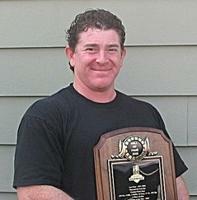 Patrick was one of the top offensive threats in the league while an outfielder for the Pleasantville Red Sox from 1999-2003. Along with his brother fellow Hall of Fame member John, the two formed the nucleus of a potent Red Sox lineup. In five seasons his teams won back-to-back championships in 1999 and 2000 dethroning the once invincible Yankees and changing the league's competitive landscape forever. For his career Mauro was a .401 lifetime hitter with 153 hits in 382 at bats including 9 homeruns, 37 doubles, 101 runs scored and 82 RBIs. He retired with a lifetime .600 slugging percentage and .500 on-base percentage. A patient eye he drew 74 walks or nearly 20 per year and kept his strikeouts down with only 34 in the same stretch. An outstanding leftfielder Mauro had all the tools with the arm, speed, power and plate discipline to excel each season. Mauro was a four-time all-star selection and was the team's MVP in 2000 and 2002. 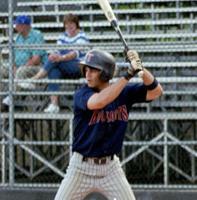 He won the league batting title in 2000 with a .481 average and was first team all-league in 2002. 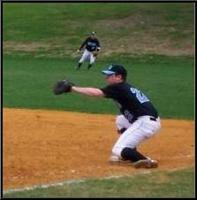 Patrick played collegiate baseball at SUNY Binghampton. Mauro was inducted into the WRWBL Hall of Fame on August 21, 2005. He still resides in Westchester County with his wife and family. Chris Neill was arguably the best pure leadoff hitter the WRWBL has ever had and he entered the Hall of Fame based on those strengths. In five seasons Neill retired with a .407 lifetime average and a .590 on-base percentage demonstrating how hard he was to put in the books. He scored 94 runs and wrapped 12 doubles and 10 triples as well. Neill currently holds the WRWBL single season stolen base record with 39 and his 118 stolen bases are third all-time in WRWBL history. What separated Neill from other top of the order hitters was his tremendous bat control, an eagle eye and a patience at the plate that is rare at the amateur level. He was a tremendous annoyance to pitchers making them show all their pitches early, working counts and fouling off dozens of offerings for his teammates behind him. He drove third baseman crazy with his precision-like bunting skills and he tortured catchers with his great speed and impeccably timed jumps when stealing bases. In the field he was a two-time gold glove winner and his cerebral play was respected by the entire league. Whether you needed a bunt down or double in the gap Neill had the confidence and ability to get the job done. After several losing seasons on the river with the Cortlandt Riveters, Neill earned that elusive championship with the Danbury Barons having a career year setting the tables all season for a 29-1 team that won it all. Neill was a four-time all-star, two-time gold glove outfielder and a member of the first WRWBL Arizona Iron Horse team that competed in the NABA National Championship. He was inducted into the Hall of Fame on Sunday August 19, 2007. A financial analyst he and his wife now reside in New Mexico. Lou Osso played six seasons with the Pleasantville Red Sox and was a consistent middle of the lineup power presence throughout his career with the team. A dead fastball hitter, Osso punished opposing pitchers who made the mistake of challenging him in an at-bat. A versatile player Osso played third, catcher and outfield when needed. In 120 games played he had a career .358 average including 179 hits, 31 doubles, 6 triples, 11 homeruns, 94 runs scored and 114 RBIs. Osso helped the Red Sox reach the playoffs in all six years he competed. Additionally, his 11 round trippers place him sixth all-time in league history behind five fellow Hall of Fame members. Lou was named first or second team all-league in four of his six seasons as a Red Sox. A respected teammate and foe, Osso's respectul nature towards everyone he interacted with earned him the league's Sportsmen of the Year award in 2003. 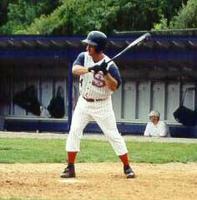 A four time all-star Osso was selected for the league's New York Iron Horse team in 2003. 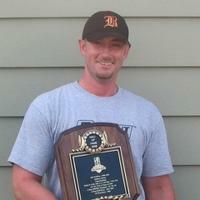 Scott Perlman retired as one of if not the most accomplished pitchers in the WRWBL's history. Throughout the mid-1990s he pitched in various leagues and was always the ace of his club. In 1999 as manager of the Pleasantville Red Sox he and the team began their long run in the WRWBL. Upon his arrival Perlman and the Sox asserted themselves as a force and he becomes the fourth member of the 1999 roster to be voted into the league's Hall of Fame along with teammates John Mauro, Patrick Mauro and Bobby Stowers. His insatiable appetite to win was reflected in the Red Sox quest to win the 1999 WRWBL league title in just their first season. The Red Sox dethroned the four-year championship run of fellow HOF members Mike Kaseman and Mike Marano of the Yonkers Yankees. The three game series was an epic back and forth contest including a walk-off grand slam in game one -- a series in which all three games ended in extra innings. However, Perlman and the Pawsox were not to be denied defeating the Yankees in the league's final full aluminum bat season. They defended that title in 2000 defeating an upstart young bunch of Danbury Barons who would go on to their own success. Perlman was one of the league's most cerebral pitchers and one of it's most accomplished players ever. A control pitcher who meticulously took time to learn hitters weaknesses, he was like a fine wine -- and just got better with age. From 1999-2008 you could always count on him to be among the league's best. His long list of personal accolades include being named to seven all-star teams, earning two defensive awards for his excellent fielding on the mound, winning the league's ERA title on four separate occasions, posting the most wins of any pitcher in 2002 and strikeout leader in 2000. More importantly he was a two-time league champion in 1999 and 2000 winning the Championship Most Outstanding Player in 2000 for his two wins in that series. Perlman finished his WRWBL career which spanned 10 seasons with a 54-19 regular season record in 102 appearances and more than 550 innings pitched. Perlman played his collegiate baseball for Union College and had one season of pro baseball in the now defunct Israeli Pro League traveling to the Middle East for a summer. His journey was chronicled in an MLB documentary entitled Holyland Hardball. 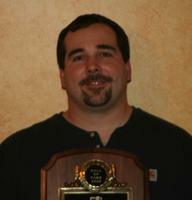 Scott was inducted into the WRWBL Hall of Fame on Saturday August 21, 2010. He currently makes his home in Westchester County with his wife and two boys. John Praino played eight wood bat seasons in the WRWBL with the Tarrytown/North Castle Lookouts. 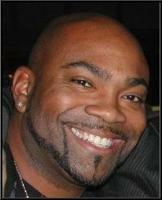 In addition he played two seasons with the New York Diamonds when the WRWBL was an aluminum bat league from 1993-1999. Praino was an integral part of the Lookouts championship run from 2001-2004 helping to define that team's toughness and intensity. A hard nosed ball player whose nickname was 'Nails', Praino squeezed every bit of talent out of his 5'9 frame. He was one of the league's better leadoff hitters throughout his career setting the table for current HOF member Bobby Accardi. Playing with wood suited this throw-back ballplayer just fine. Praino never carried a bag, never wore batting gloves and would come to the field with just his glove, two bats and a pair of spikes tied over his shoulder. His 108 walks (.425 OBP), 35 extra base hits and 86 RBIs from the leadoff spot demonstrated a blend of a good eye, speed and surprising power/run production making him a tough out or a dangerous hitter at the top of the Lookouts lineup. In eight wood bat seasons he played 145 games posting a lifetime .326 batting average (158/486). Due to his high on-base percentage Praino was a run scoring machine -- his 129 touches of home fall just short of a one run scored for every game played average. John was the starting leftfielder for all three of the Lookouts trips to the finals (2001-2003) winning the championship in 2002. He was the team's MVP during its championship season scoring 30 runs that year and he was an all-league selection as well. Praino works as an educator in the Yonkers school system and makes his home in Mahopac, New York. 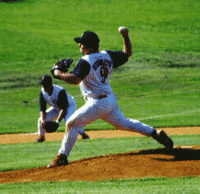 From 1999-2002 Justin Scali was the most dominant pitcher in the WRWBL and the first hurler inducted in the league's Hall of Fame. 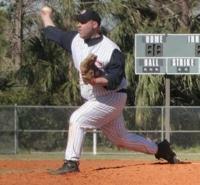 Over his four seasons the rugged lefty compiled a 25-3 record and a career 2.04 ERA for the Danbury Barons. Scali was known for his brash confidence on the mound and he usually had good reason for it - posting 176 strikeouts in 171 2/3 innings pitched, a ratio of more than one per inning. Scali was the rare breed of pitcher who combined overwhelming power stuff with polished control and discipline. He retired from WRWBL play with a 5:1 strikeouts to walks ratio. Over a three season stretch, he had records of 7-0, 7-1 and 8-0 and could have easily won three league Cy Young's if the award had been available when he played. The WRWBL did not begin awarding a Cy Young until after his retirement. In 2001, Scali demonstrated why he was the heart and sole of the team...a Baron original - leading them to the first ever WRWBL wood bat championship. Scali posted a 7-0 regular season record that year and was 2-0 in the playoffs including a complete game victory over the Tarrytown Lookouts. That victory was extra special, as Scali allowed four first inning runs an unheard of offensive explosion against him. Rather than buckle, he returned to the mound firing eight innings of shutout baseball as the Barons rallied to win 5-4. In game two of that same series with the Barons trailing 8-7, he provided the game tying hit in the ninth that helped propel Danbury to the 2-0 series sweep. For his efforts he was named the 2001 WRNABA Championship Series MVP. Scali was a four-time league all-star, the Cooperstown Hall of Fame Tournament MVP in 2002 and the Barons team-MVP in 2001. In addition, he was the captain of the Methodist College baseball team which was ranked #1 in the nation for eight weeks (NCAA Division III) in 2002. Scali was inducted into the WRWBL Hall of Fame on August 22, 2004. 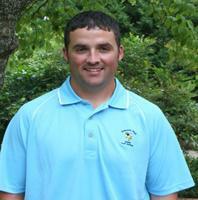 He now makes his home in Ohio as serves as the pitching coach at Piedmont University. Bob Stowers was one of the best catchers in the WRWBL for many years and helped set the standard for future catchers looking to reach the Hall of Fame. A hard nosed, no-nonsense guy, Stowers was a major driver of the Red Sox dominance during the late 90s. While teammates Scott Perlman, James Giquinto and the Mauro brothers garnered the attention it was Stowers intensity that kept the team focused at all times. At the plate, he was a power hitting catcher who merged a rare combination of solid defense and big-time offense. His strong arm would have earned him several gold gloves if the award was given out when he played. He often did not receive the same fanfare that his teammates received, but there was a reason they had Bob hit behind them in the order. He was an RBI machine. What made Bobby more special was his versatility. As a pitcher, he was equally as valuable, serving as the Red Sox closer, spot starter and middle reliever. Like his fellow inductees, whatever the team needed he did. Bobby epitomized what a great teammate was. Stowers was a 4-time league all-star, the 1999 playoff MVP and a 2-time WRWBL champion (1999 & 2000) His career numbers speak for themselves -- a career .388 batting average including 207 hits, 12 home runs, 151 RBIs, 95 runs, 37 doubles, 9 triples, a .559 slugging percentage and a .435 on-base percentage. Of note, Stowers astoundingly struck out just 23 times in 533 at-bats over his eight seasons! As a pitcher he was 19-6 with a 2.70 ERA in 150 innings pitched. He recorded 120 strikeouts and also fired a no-hitter as well. Bobby was inducted into the WRWBL Hall of Fame on August 20, 2006. Stowers makes his home in Connecticut with his wife and children and currently works for the State of Connecticut. When Mat Terrillion was inducted into the Hall of Fame his entrance broke new ground for future candidates who may be considered based on the strength of their defense rather than the impact of their offensive numbers. In fact, he is the first HOF candidate to get it on the strength of his defense primarily. Terrillion is the only player in league history to win five consecutive gold glove awards for his excellence in centerfield for the Barons from 2001-2005. However, there is a lot more to his career than just his defensive play. As a pitcher, Terrillion was the league’s most dominant closer for the period in which he played. Several pitchers served as a closer for one or two seasons, but Mat was the Barons stopper for all seven seasons he played (2000-2006) and his 17 regular season saves are tops in league history. In 61 2/3 relief innings pitched he was 5-3 with a 1.48 ERA allowing just 33 hits and 25 runs while striking out 82 batters or nearly 1.5 batters per inning. His power fastball and classic 12 to 6 overhand curveball were the hammer that closed out may a Barons victory. Often forgotten in his stellar defensive play and dominant pitching was the fact that Terrillion was a solid offensive player as well. Mat retired with a lifetime .331 average with 91 hits including 16 doubles, 7 triples and 81 runs scored to go along with 63 RBI. Terrillion was a member of the New York Iron Horse team in 2003 and was a four-time league all-star to go along with his five gold gloves. Terrillion was inducted into the Hall of Fame on Sunday August 24, 2008. In addition to his professional career, Terrillion and his wife make their home in Connectictu where he serves as an American Legion coach.